From sleek, modern designs to cozy, space-saving kitchen systems, these multifunctional and customizable cabinets are compatible with a wide range of layouts. SieMatic 29 SieMatic The gently curved SieMatic 29 kitchen sideboard is part of SieMatic’s new style collection called URBAN. 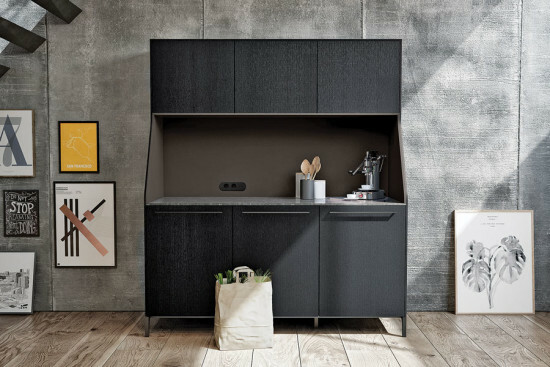 The sideboard is compatible with individual kitchen essentials and coordinates with URBAN’s cabinet combinations outfitted with ovens, dishwashers, and refrigerators. SieMatic 29 is available in a wide range of colors and materials. Styleavant Habersham StyleAvant is a customizable frameless kitchen and bath cabinetry line that features fresh and clean finishes. With over 24 standard door and endless “build your own door” options, this cabinetry line is constructed with 100-percent plywood, solid wood doors, and dovetailed drawer boxes, full depth adjustable shelves with solid wood edges, and locking dado. Glass Fronts Poggenpohl Poggenpohl has launched a new collection of mountable cabinetry glass fronts, which are available in both high-gloss and matte finish options. The high-gloss finish presents a smooth and flat surface, while the matte finish gives off a gentle glow. The collection includes 16 unique glass fronts. The Vipp Kitchen Vipp Made of powder-coated stainless steel, this versatile kitchen is comprised of tall, wall, and island modules. The kitchen countertop is outfitted with a sink, and optional induction or gas range. The kitchen shelves come in two sizes, and the full kitchen is available in both white and black. Italia Pvd Arclinea This chic kitchen island features a stainless-steel worktop and a stainless-steel door in Physical Vapor Deposition (PVD), a production process where stainless steel is bound with titanium at a molecular level to form a surface-level metal alloy. Italia PVD comes in Bronze, Black, and Champagne finish options. Remnants Collection Design-Craft Cabinetry Designed for Design-Craft Cabinetry’s Pike’s Peak door style, the Remnants Collection of cabinetry finishes resembles timeworn wood and is made of textured melamine. The collection is available in four color ways—Tobacco, Desert Wood, Silver Moss, and Driftwood. 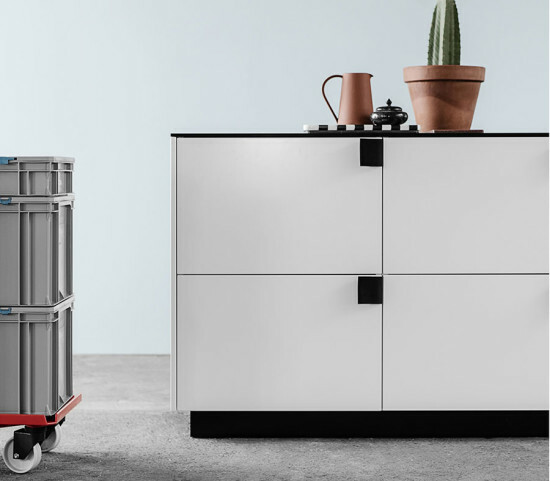 Danish kitchen purveyor Reform has enlisted Bjarke Ingels, Henning Larsen Architects, and Norm Architects to put their spin on a mainstay of Ikea's kitchen designs, the Metod. While the architects' work is confined to surface treatments and small details, the results definitely elevate the kitchen above the generic flat-pack model. Bjarke Ingles and BIG added a loop of seatbelt webbing to the drawers and doors. Henning Larsen Architects accented the cabinets with strips of contrasting or coordinating metal. Norm Architects created a waterfall counter to frame door/drawer panels made of bronzed tombac, fiber-concrete, or smoked or sawn oak. The kitchens will be available in September 2015.